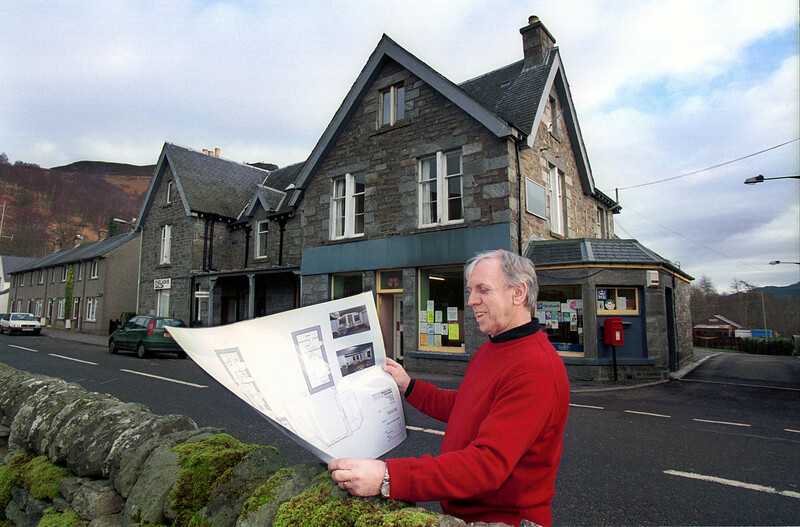 Enterprising communities in rural Scotland are being offered grants of up to £50,000 to start up community business ventures that will breathe new life into their areas. The news comes as ten Scottish communities are sharing in the first grants from our Village SOS funding competition. Each group has received an award of between £10,000 and £50,000 to develop plans for enterprising rural projects. North Howe Transition Toun in Fife has been offered an award of £29,000 for its plans to develop its community bakery business, the Doorstep Bakery in the village of Collessie. The group will purchase new equipment and will take part in Farmers’ Markets and events to promote their business. This enterprise will employ a consultant bakery manager and provide training opportunities for local people. In East Lothian, Ormiston Growers has been offered an award of £29,011 to set up and run a community shop which will provide a range of locally sourced produce. Based in premises in Ormiston main street, this new enterprise will become self sustaining through retail sales and will provide added employment and volunteering prospects for local people. The Village SOS scheme aims to inspire a rural revival across the UK by supporting rural communities that may be struggling with issues such as isolation, ageing populations, and the closure of local amenities. People can register at www.villagesos.org.uk where they will find more information and advice about community enterprises, including an online support network. Application forms for are also available online. The project will set up a community car club which will give local people the option of car sharing. It is hoped that this will help more people to travel further afield for employment opportunities. The group will use the money to lead a community project to extend reliable next generation broadband to more people in, and surrounding, the rural village of Kinmuck. This project based in Lochaber will install a number of fixed moorings on the island which will provide safe anchorage all year around. This enterprise will enable more accessibility, providing the island with a constant income source and encouraging a higher numbers of visitors. This project based in Carbost, Isle of Skye, will further develop the Tattie Bogal concept into a scarecrow trail to make Minginish village a tourist hotspot attraction. The enterprise will lead to other attractions along the trail such as refreshments and enticements for tourists to purchase branded goods and keepsakes. The enterprise will be sustained by the revenue generated from fun days, workshops and sale of branded goods and refreshments. This project based in Carradale East, Argyll, will set up the Carradale Cycle Trail by providing mountain cycles and electric buggies. This will encourage increased tourism to the area which will boost the local economy and create part time employment opportunities for local people. The enterprise will be sustained through income generated from hire of the cycles and buggies. This project based on the Isle of Rum will establish a community cooperative to process and sell venison on the island. The enterprise will create employment opportunities and encourage an increase in tourism to generate an income for the community. This project based in Tongue in the Highlands will also serve the villages of Melness and Skerray. The group will use the funding to purchase a new 16-seater mini-bus with disabled access, so that they can provide a transport link between the three remote villages and to rail links for travelling further afield. This project based in Ullapool, Ross-Shire will purchase a wood fuel processer to provide alternative natural fuel sources. The timber will be sourced from local forest landowners, where the wood logs will be cut and transferred for drying and seasoning and selling direct to customers.